Our hanging signs are ultra-light and extremely easy to set up. 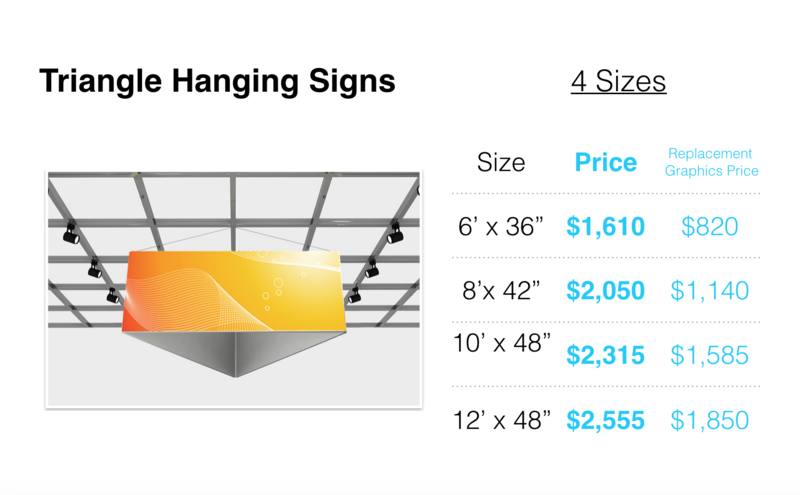 Featuring clean and modern lines and bright, vibrant graphics, these hanging signs feature a sturdy 2-inch diameter aluminum tubing frame that snaps together and is covered with a dye sublimation printed fabric graphic that zips over the frame. 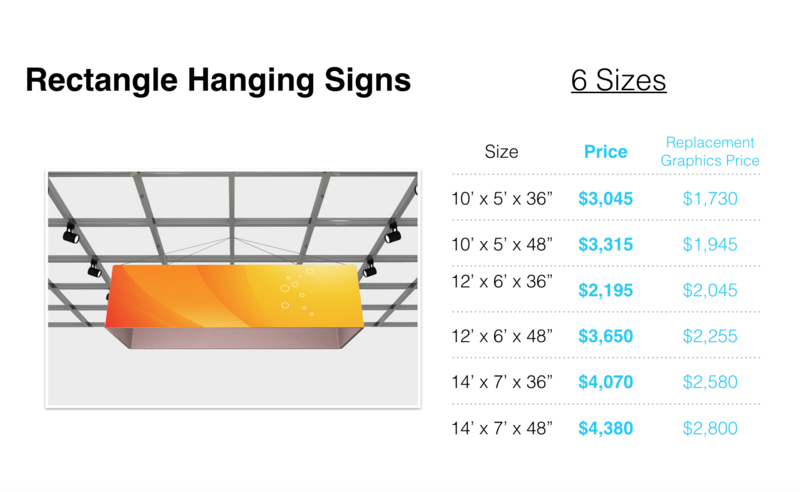 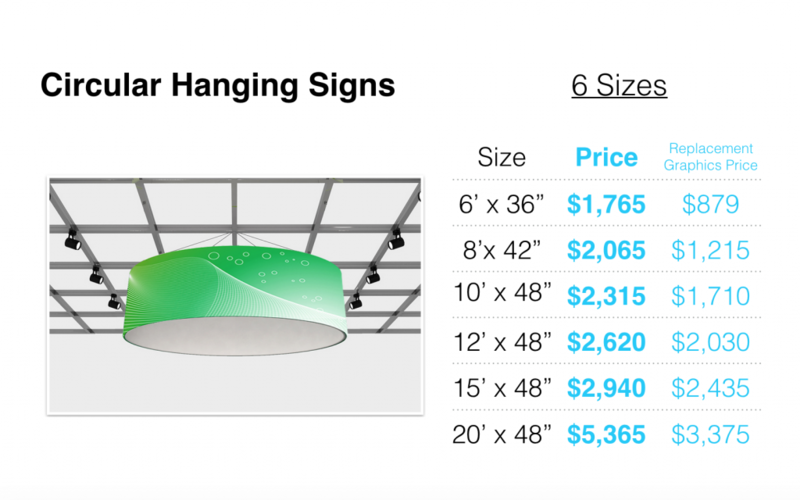 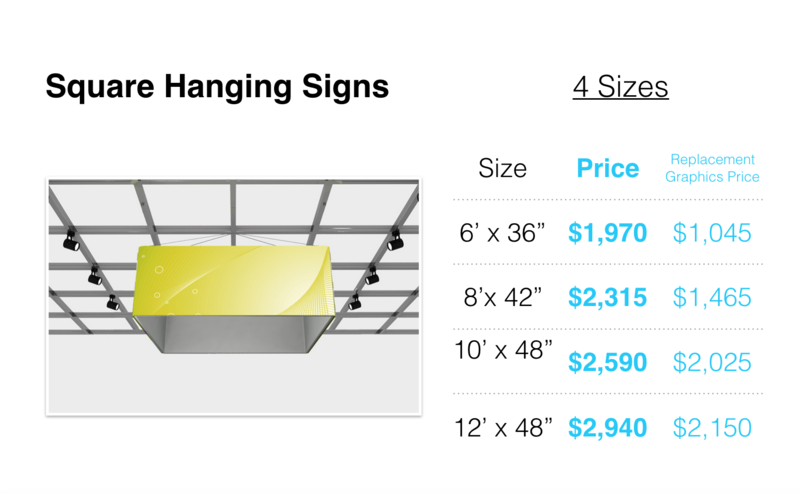 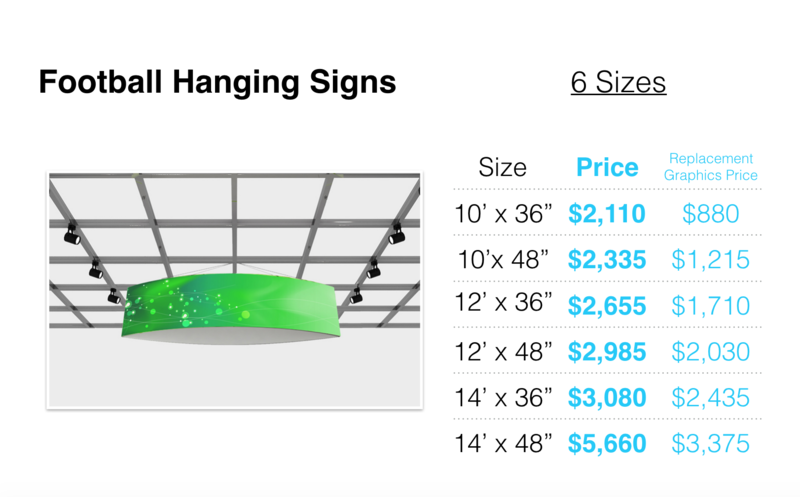 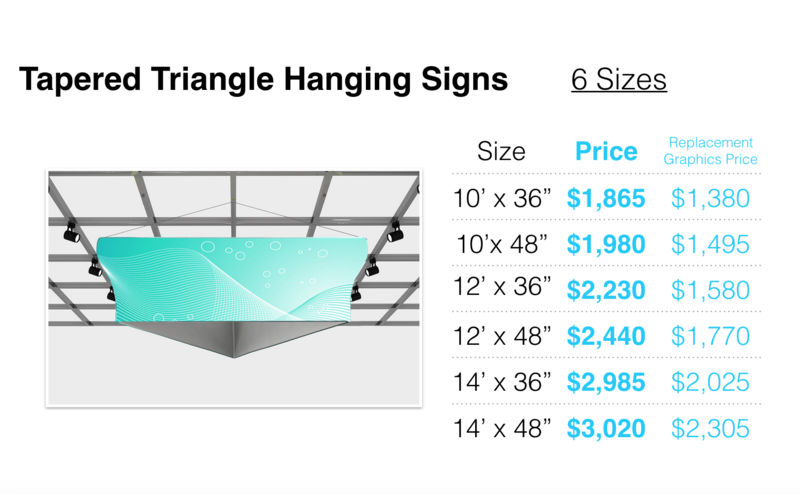 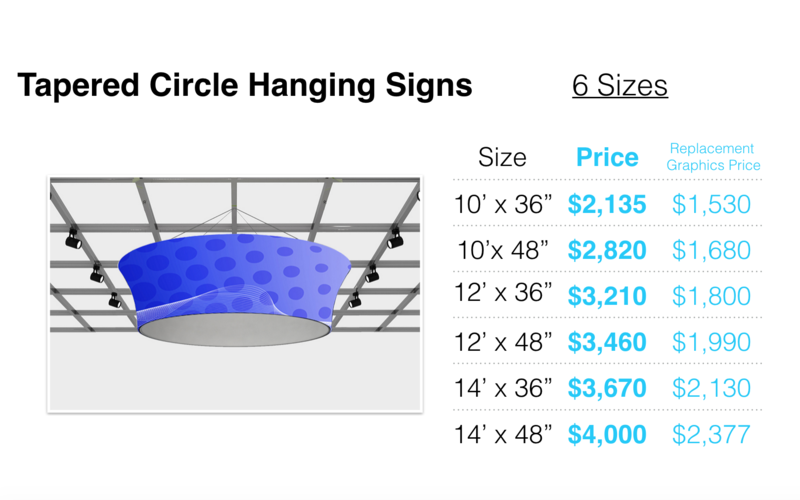 Hanging signs are available in most popular shapes and sizes and come complete with rigging hardware. 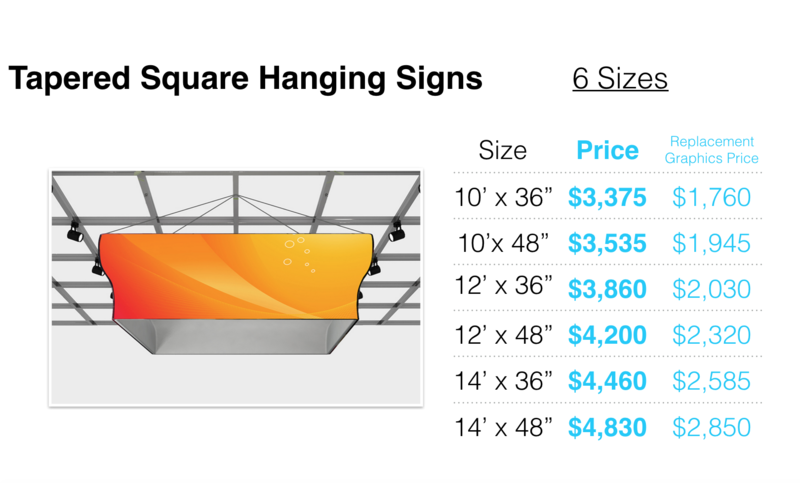 They ship in zippered carry bags or optional wheeled, molded shipping cases for added convenience.